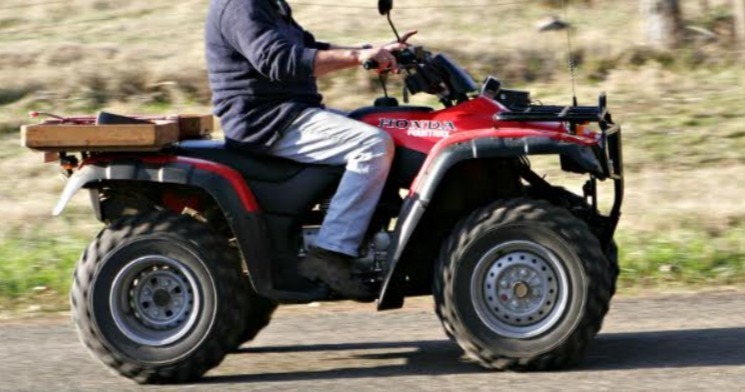 QUAD bike safety is under the spotlight again after two young boys were killed in quad bike incidents last weekend in Western Australia and Tasmania. On Saturday afternoon, a seven-year-old boy died after his quad bike rolled on a property at Dingup in south-west WA. Police said the boy was taken to a local hospital, where he was pronounced dead on arrival. A nine-year-old boy was killed in a quad bike crash at a Sandford property outside Hobart on Sunday afternoon. The boy died after a quad bike rollover at a family member’s rural property on Dixon Point Road, according to police. The latest fatal quad bike accidents occurred as the Federal Government is inviting stakeholders to review and comment on a new safety standard recommended by the Australian Competition and Consumer Commission in a report last month. To find out more on how to make a submission click here. Submissions are open until 10 June, 2019. Assistant Treasurer Stuart Robert is also seeking comment from stakeholders on the role state governments should play including enforcing the wearing of helmets and safety gear and making it illegal for children to ride adult quad bikes in other than supervised sporting events. Quad bikes are one of the leading causes of death and injury on Australian farms. In 2018, there were 10 quad bike fatalities in Australia. Figures from Safe Work Australia show in the eight years from 1 January 2011 to 31 December 2018, 126 people died in quad bike incidents in Australia. Almost 11 per cent (14 fatalities) were children aged 11 years of age or under and more than one third (43 fatalities) were adults aged 60 years and over. The figures show over half (76 fatalities) of all fatalities were the result of a rollover and 77 fatalities occurred on a farm or property. The Australian Competition and Consumers Commission’s (ACCC) final report into quad bike safety released recently recommends the introduction of a safety standard. The ACCC has also made a recommendation to the Assistant Treasurer to make a mandatory safety standard. The National Farmers’ Federation has welcomed the release of the ACCC report, including recommendations for measures to establish a safety standard. “Since 2011, about 130 people have been killed and on average six people each day are hospitalised in quad-bike related incidents. 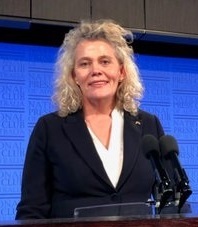 “This comes at a cost to the economy of at least $200 million per year, not to mention the pain, suffering and associated expenses inflicted upon those affected, including friends and families of victims,” NFF president Fiona Simson said. The ACCC has recommended a standard which mandates that key information on stability and design specifications of a quad bike be made available for consumers. The ACCC also recommends a minimum stability standard and operator protection devices (OPDs) be made mandatory for general-use models. This, according to the ACCC, will minimise the risk of rollovers and significantly reduce the risk of death or serious injury if a rollover should occur. Under the ACCC recommendations, sport, youth and transition models would be exempt, and a two-year transition period would ensure general use models could be brought up to the new standard. According to the ACCC, the introduction of a Five-Star Star Safety Rating System, that is managed and administered independently from manufacturers, would allow consumers to easily compare the relative safety of available quad-bike models. “The NFF has long called for the introduction of a Five-Star Safety Rating System,” Ms. Simson said. The NFF is urging the Federal Government to implement the ACCC’s recommendations to save lives and prevent countless on-farm injuries. Consider whether a quad bike is the right vehicle for the job. Is the rider physically capable of an active riding style and over a potentially long time? Side-by-side vehicles may be more suitable in rural workplaces because the operator stays seated; they generally have rollover protection structures and restraints like seat belts. Towing attachments or carrying loads on the front or rear racks of a quad bike is convenient but will it affect stability and handling? Liquid loads such as spray tanks are particularly unstable as contents shift when cornering or traversing slopes. What terrain will the bike be used in? Rocky, steep, uneven, sandy or muddy terrain will greatly increase the risk of a quad bike rollover. Will you carry a passenger? Most quad bikes are designed for one rider. You should never carry a passenger on a single person quad bike.